OK, not a good start for a review, preview or an article promoting an event. But, of course I mean the reason behind this show. 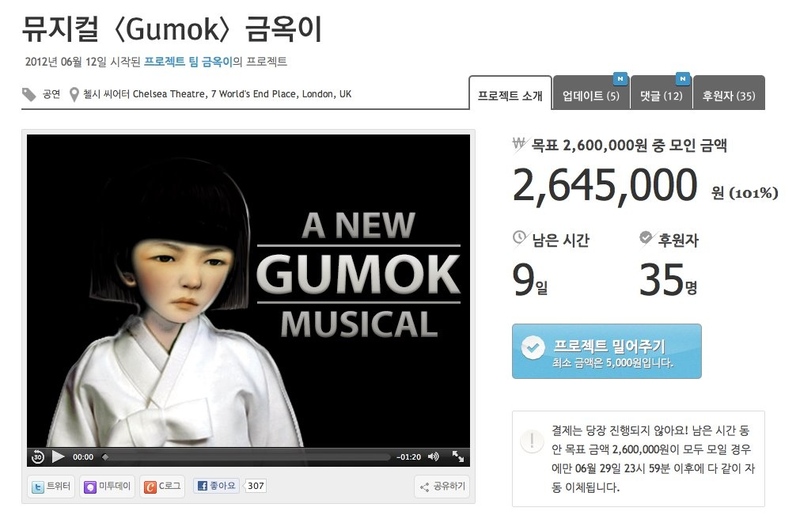 The site is viewable in both English and Korean – just like the “Gumok” musical itself! There are 60 women remaining of those affected and it’s a 60 minute show. Is this number 60 a coincidence? Perhaps we’ll discover answers to this question and more when Mini Mini attends one, or both (!) of the performances. Now though… the serious stuff. 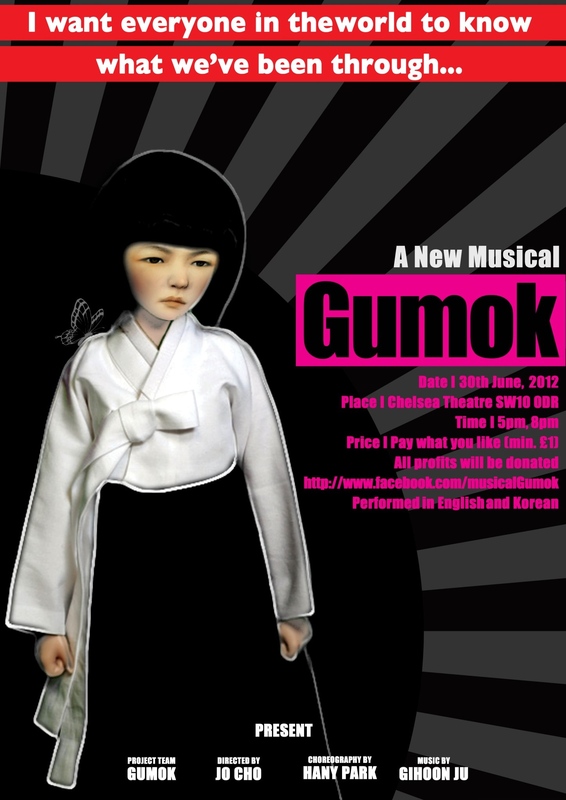 Project Team Gumok presents a new musical “Gumok” at 5pm and 8pm on 30th June at Chelsea Theatre in London. 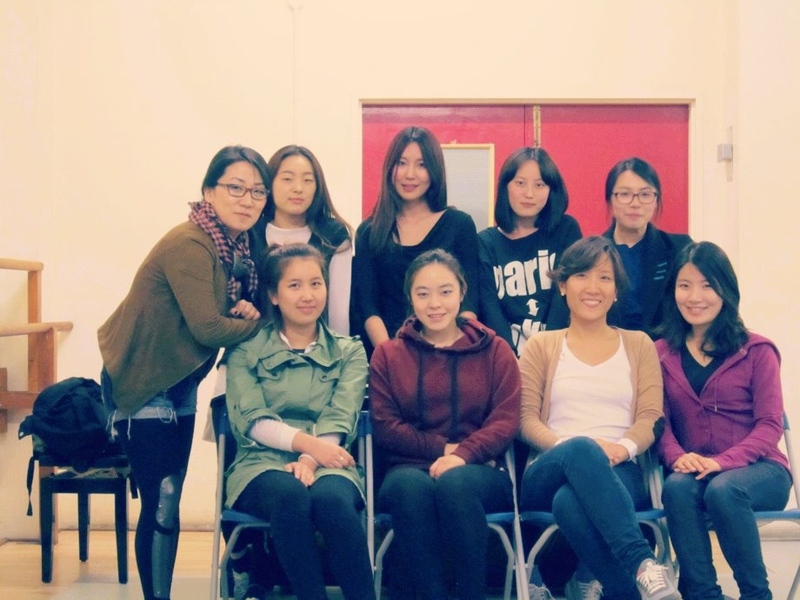 We hope this show will raise awareness of the atrocities committed against women during the 2nd World War. There were thousands of victims of the Japanese Military, called ‘The Comfort Women’, Chinese, Malaysian, Indonesian, Taiwanese, Dutch but mostly Korean. Only 60 Korean women are still alive out of the 234 registered as victims and there have been demonstrations in front of the Japanese Embassy in Korea every Wednesday since 1992. All profits from this show will be donated to the Korean Council for the Women Drafted for Military Sexual Slavery by the Japanese which officially supports “Gumok”. Musically I prefer the tune on the end of this Interview with the Director, Jo Cho – watch (and listen) until the end. If the musical is totally made of such songs I seriously can’t wait! Lastly, and this is something I discovered just before finalising the article “Gumok” is another example of how social-funding (or crowd funding; crowd sourcing) can work. For projects that perhaps the big bucks investors, studios or brands wish not to invest in, the general public can fund instead and often receive a reward in doing so. 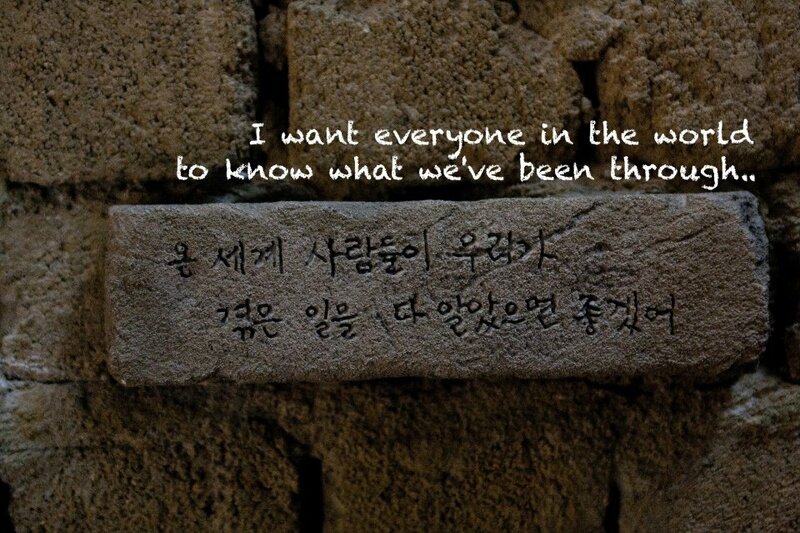 Much the same as Yoon Jung Lee as achieved with her “Remember O Goddess” film project.